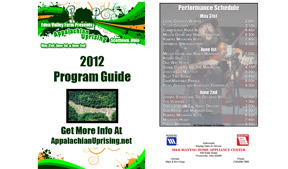 The annual Appalachian Uprising event is a staple for bluegrass and country music fans on the east coast. 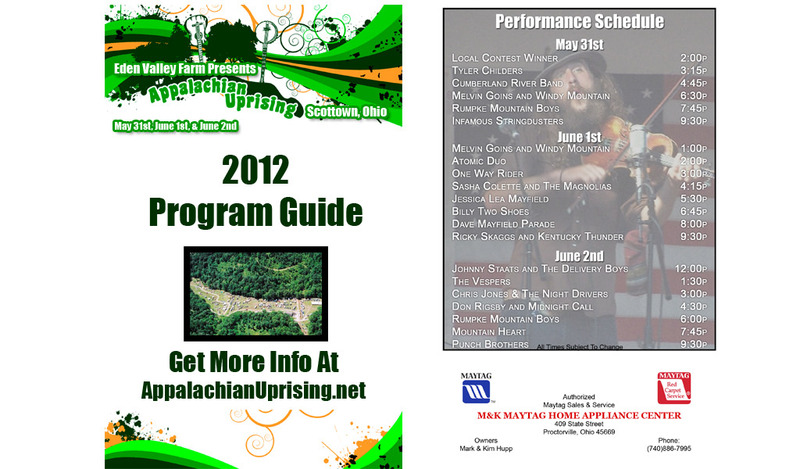 The needed a beautiful brochure to hand out to the fans that came to the show, We delivered. 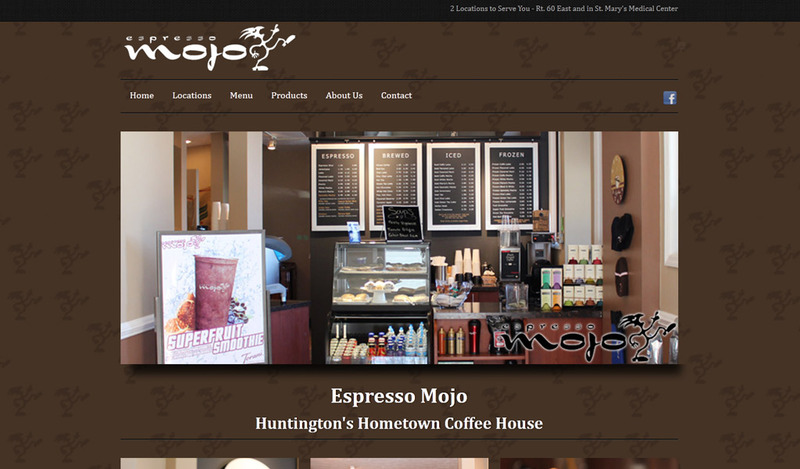 Espresso Mojo is a hometown coffee house with 2 locations. 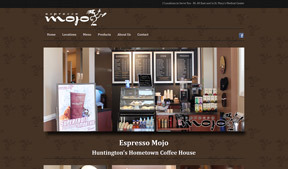 Their customers are primarily on the go, so they needed a website that would function on a mobile browswer just as well as a desktop. 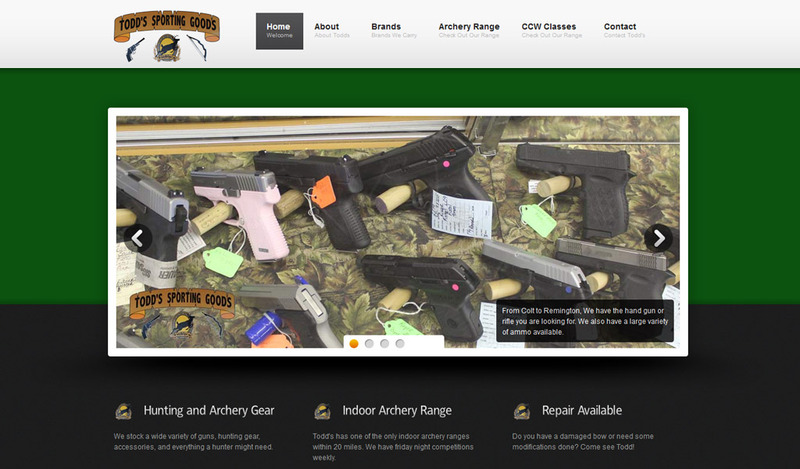 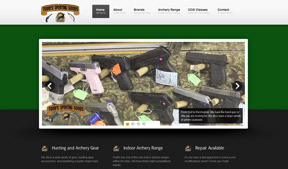 Todd's Sporting Goods in Proctorville, Ohio needed a website to reach a large audience than their brick and mortar store in their small town could. 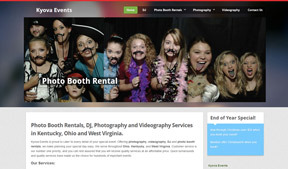 Kindred's professional website development was the solution. 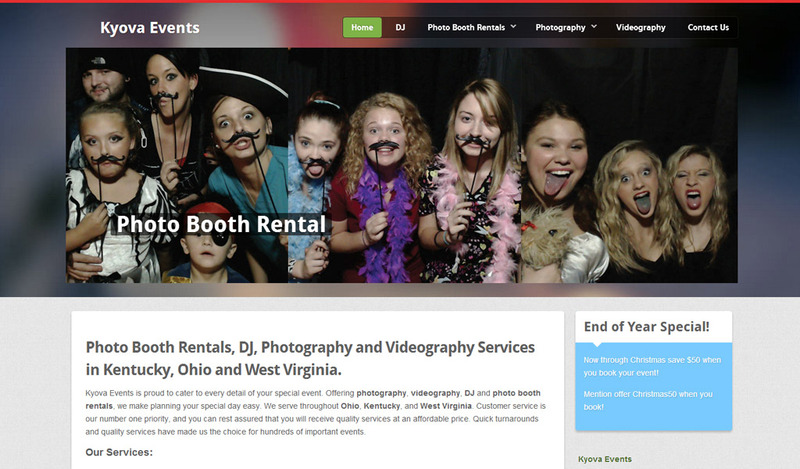 Kyova Events is a Photo Booth Rental, Photographer, DJ and Videographer that covers Kentucky, Ohio and West Virginia. 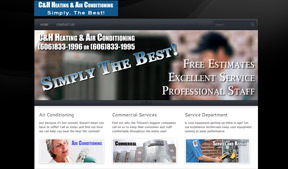 C&H Heating and Air is an HVAC company in Flatwoods, Ky. 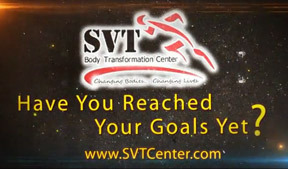 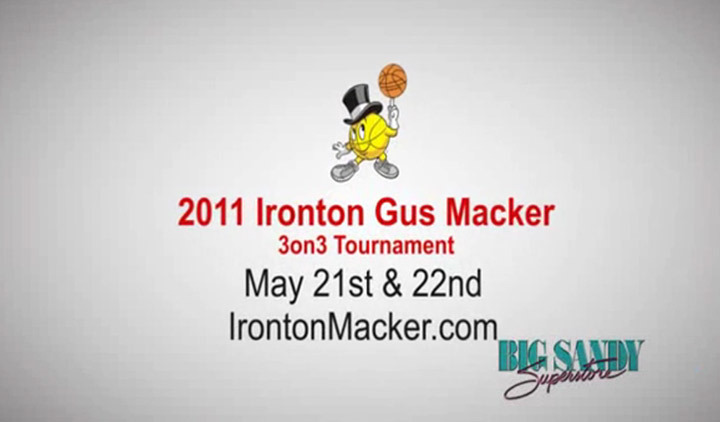 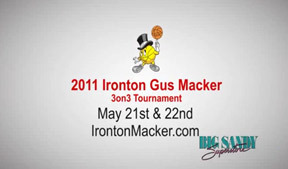 They needed a website to help them stand out from the crowd and impress potential residential and commercial customers. 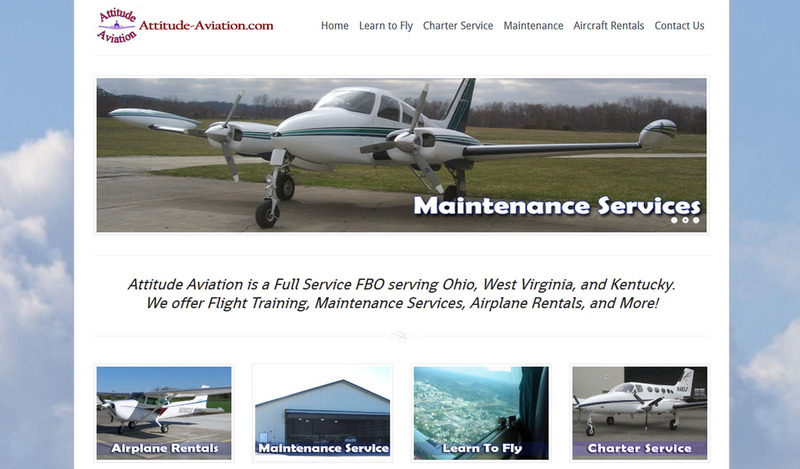 Attitude Aviation uses a website from Kindred Konnect to inform perspective customers and, with a custom reservation system, take reservations online for their charter services. 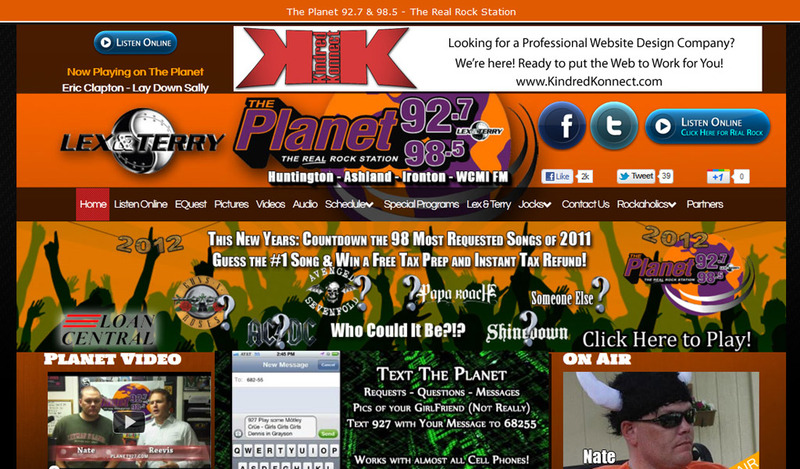 The Planet 92.7 & 98.5 utilizes a website from Kindred Konnect that offers flexibility and in your face design to reach their listeners and promote their contests and giveaways.